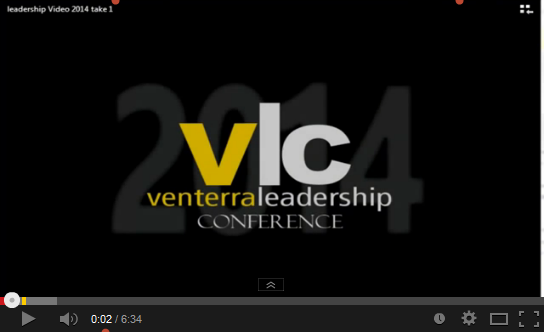 As the video starts, “…..The Best Day of My Life!” Ok, so maybe that’s a stretch…but we continue to be told that Leadership 2014 was by far the best Leadership Conference we’ve ever had. And, yes, we hear that every year; which is great! We always want to be improving. But what’s different this year is that we’re into the second half of April, and still receiving positive comments. This year’s conference definitely has had a longer shelf life than in past years! The comments we’ve received span from the quality of the presentations to the more relaxed pace; oh and wearing the added t-shirt for the first day of travel was a plus! While all those reasons are great and we definitely will take into consideration for next year, it’s really you (the Leaders of our properties) that have made the event what it has become. You come with great willingness to participate, listen, learn, teach others what you’ve learned, try new things, and to have fun! I’ve been to many Leadership “events” with previous companies. While some are elaborate and glamorous, not one can hold a candle to the energy that’s created throughout the conference and our company culture. We may not be able to pinpoint exactly what makes our conference such a success (although according to the survey results, the personalized snacks were deemed a very important part of the conference—specifically in the middle of the night), but we can all agree that you, our leaders, know how to bring it!